Timing of agronomic programs often is more important than the implementation of the programs themselves. In our efforts to provide consistent playing conditions throughout the golfing season, weather always plays a key role in decision making. In the Spring, we face cold/wet conditions that limit the growth of the grasses. Summer brings extended periods of heat and traffic that can be detrimental to conditions on the playing surfaces if proper care is not taken. Fall, particularly early months, may sometimes remain too dry, which limits proper healing going into Winter dormancy. 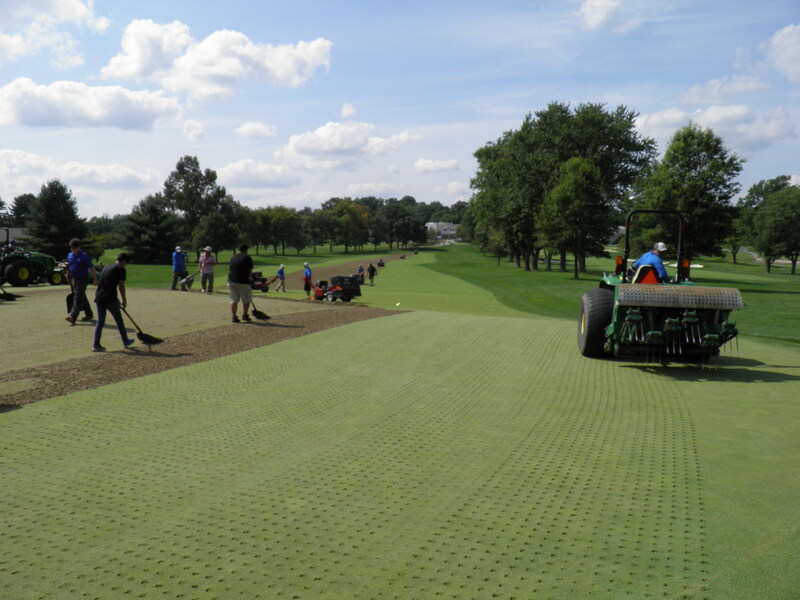 As we look ahead to the planned Aeration programs of both golf courses later this month, we would like to take a moment to explain why this is the proper timing. In general, Aeration of our playing surfaces is designed as an offensive strategy to strengthen the health of the grass by providing more vigorous rooting in the underlying soil. The stronger the root system is going into stressful periods of weather, the longer we are able to maintain desired playing conditions. Extended periods of hot and dry conditions, such as we have found ourselves in for the past several weeks, inevitably force us into a defensive position trying to maintain the health of the grasses. These include modifying or reducing some of our more aggressive programs like vertical grooming and light sand topdressing in an effort to avoid unnecessary damage that would be compounded by slow recovery during stressful periods. While these two necessary processes aid in surface smoothness/uniformity and ultimately provide us with adequate ball roll and green speed, they can both be detrimental when performed at the wrong time. One of the main goals with our Aeration program is to encourage the health of creeping bentgrass populations over Poa annua, which is largely considered a weed in the Mid-Atlantic region. The month of August is the peak of the summer growing season and Poa annua is easily out competed by more aggressive growth from creeping bentgrass. Anytime that you open holes in the playing surfaces is an opportunity for Poa annua to invade. Performing this process at this time of year limits that potential as much as possible and gives us the best chance to keep our playing surfaces “clean.” We are also looking to return to normal playing conditions in the shortest window possible. 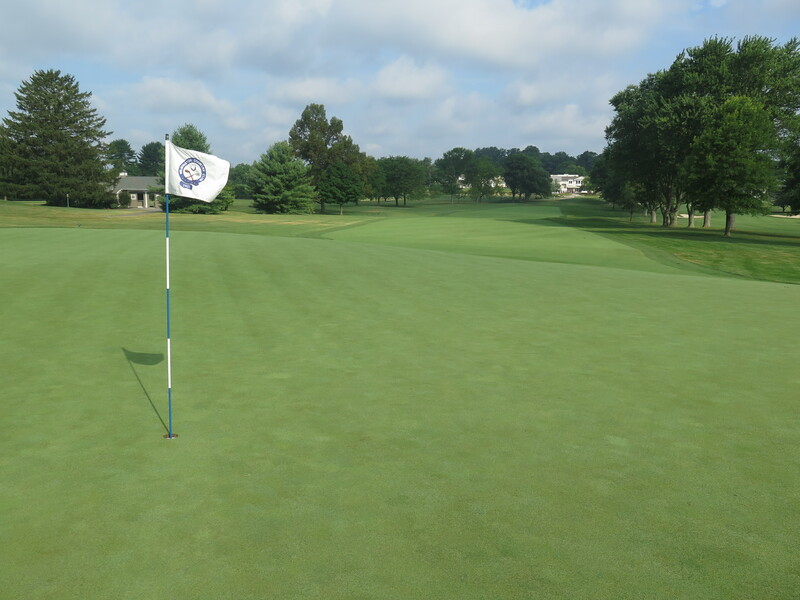 Even though the August heat can prove stressful for maintaining adequate moisture in the soil, this is a time when the creeping bentgrass is growing most vigorously. Coming on the heels of our busiest months of play on the golf courses, aeration is a much-needed relief and recovery from excessive traffic and other normal play injury on all the playing surfaces. 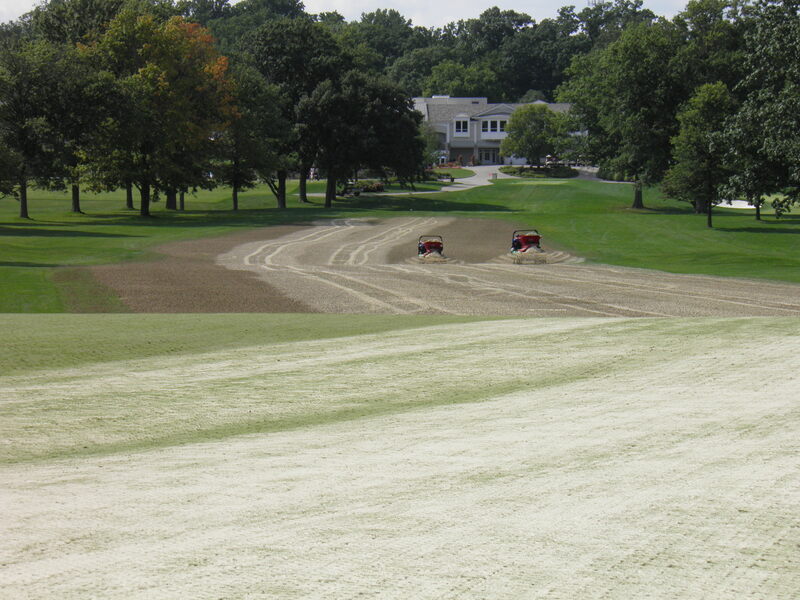 While the August aeration timing is often viewed as a major inconvenience particularly as both golf courses may seem to be coming into their prime condition, this window of maintenance opportunity provides us with the time to accomplish perhaps the most critical program of this, and every year, necessary to provide great conditioning and playability through the rest of the Fall playing season and beyond.